We are offering PCB Repair and Spares to our clients. We are doing reparing work of OHTC PCB's and we can also convert PCB Board into PLC. ACSPL is specialised in marine electronic PCB design, repairing, and redesigning and reverse engineering. These PCBs are integral to any marine equipment and systems. 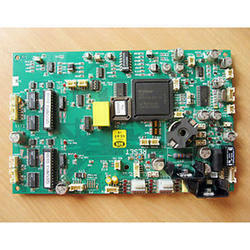 Wer are service Provider for Industrial Electronics PCB Repair. We have highly skilled technical engineers; they are troubleshooting the problem quickly.Any electronic equipment we will repair. Our service offered to IT, Telecom, medical, Military & Industrial electronics. Empowered with massive industry experience, we are involved in offering Repairing Of Defective PCB And PLC services to our patrons. Owing to their excellence, on time completion and reliability, our offered services are hugely acclaimed and appreciated. Additionally, we have employed a skilled workforce to repair these who are highly experienced in this respective domain. Our team of engineers provides the required expertise required to carry out service and repair of vacuum circuits for our customers. 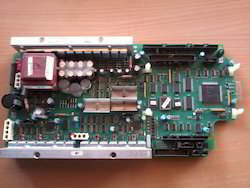 Being an eminent company, we are involved in rendering Printed Circuit Board Repair Service. As per the growing requirements of our patrons, we are indulged in providing Circuit Board Repairing Service. With the support of our talented team of professionals, we are engaged in providing Display Circuit Board Maintenance Service. Our Electronics service people solve the problems in PCB board level like Controllers, Drivers, Power supply, I/O modules. So that our experts give solutions in very short time period and reduce production delay. Our enterprise is engaged in rendering PCB Repair Service to our esteemed clients.